Scabies is an infectious disease of the skin caused by the action of an astigmatous mite called Sarcoptes Scabiei, which digs the intraepidermal tunnels within which it deposits its eggs. 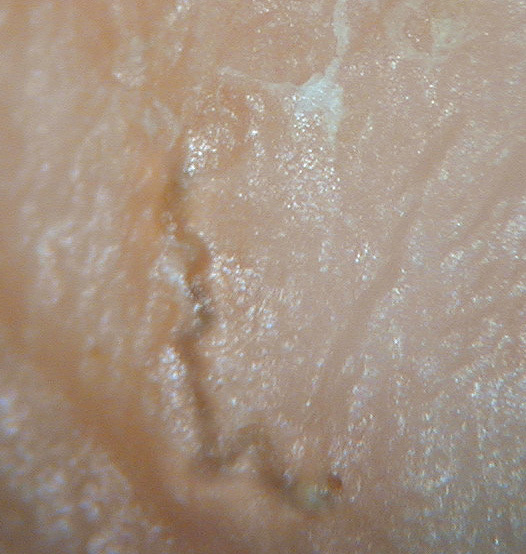 If the doctor can see macroscopically the tunnels, the diagnosis is possible clinically, but if these tunnels are not visible or there are not, the diagnosis is impossible without examining a scarification of the skin. 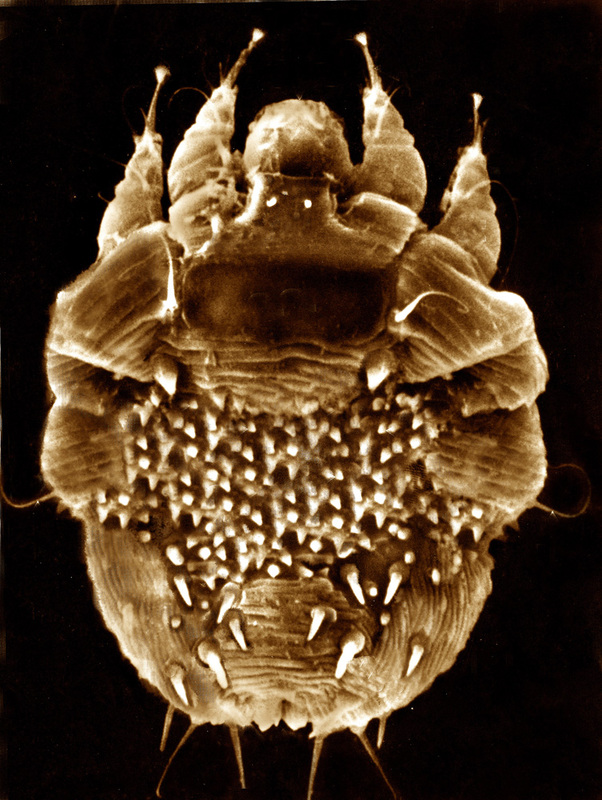 Most of the times in fact the mite penetrates the epidermis producing lesions similar to insect bites, often complicated by the intense scratching. 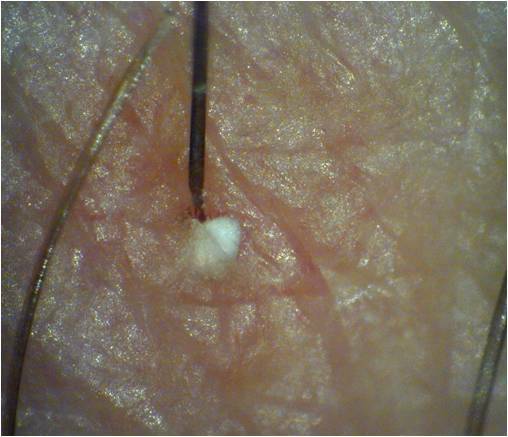 In these cases it is not possible to make a diagnosis without isolating the mite from the skin. The withdrawal is rather annoying and invasive because it is necessary to scarify the lesion with the blade of a scalpel. The Urania Research Centre has, in recent years, experienced new diagnostic possibilities for this pathology and has devised a new analysis based on E.D.P.A.® (Indoor Dust Direct Examination), “Scabies-Test“. Through the study of the traces in the dust coming from the bed and the patient’s bedroom, it is possible to detect Sarcoptes Scabiei and to diagnose scabies without disturbing the patient. This pathology is transmitted not only by prolonged close contact (e.g. sexually) with infested individuals, but also through contact with contaminated places (e.g. sheets, sofas, etc.) with the skin scales of subjects suffering from scabies. So it is possible to detect the traces of Sarcoptes scabiei in the environment without having direct contact with the patient. This allows us to make a remote diagnose of scabies, examining the dust samples sent directly by the patient from all over the world. The patient will receive our report by email within 24/48 hours from the receipt of the samples along with a detailed and appropriate advice to solve the problem quickly. Who can request the Scabies-Test? Anyone. The Scabies-Test is indicated for subjects that show an intense nocturnal itching throughout the body, but especially to the hands and forearms. The request can be made by anyone suspected of having scabies or a dermatitis caused by insects or mites. To ship the samples, we advice to use the service “Posta 1” (Italian Postal Service) or any courier in your country. © 2019 Urania Entomofauna del Mondo S.r.l. All rights reserved. No part of these may be copied or reproduced. error: @Copyright 2018 Tutti i diritti sono riservati a Urania Entomofauna del Mondo S.r.l. Riproduzione anche parziale vietata.